While speaking in a candid interview with Marc Maron for the podcast WTF, a former member of the Beatles, Sir Paul McCartney, who revealed that he choose to record his 1973 album, “Band on the Run”, in Lagos, disclosed how he smoked the strongest marijuana with Fela Kuti. It was gathered that when McCartney arrived in Nigeria, there were news headlines that Fela Kuti, accused him of “coming to steal the black man’s music”. 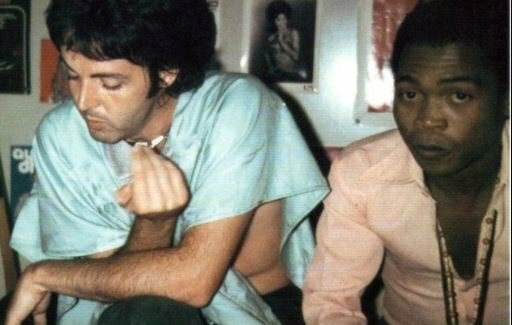 In a bid to make to smoothen things, McCartney invited Fela over to his studio so the Afrobeat legend could listen to his songs. 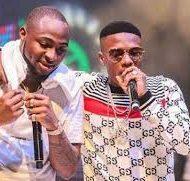 According to TheCable, the British music legend recalled that after he invited Fela to his studio, “he came over with his 30 wives and a studio full of ganja. “He was one wild cat, he used to have a bottle of whiskey in which was marinating a pound of pot… in the whiskey. We turned out to be real good friends, he got it, he said ‘no you’re not doing that’ [stealing African music]. “Ginger Baker was there, he was his big friend. So, Fela invites us to his club which was outside Lagos, the Afrika Shrine. This was a few of us, little white people, me and a couple of friends. So we go out there and I say, ‘let’s not smoke any pot‘. Cause it’s pretty crazy, we’re out in the jungle and it’s pitch black. The British icon was among international stars – such as James Brown, Gilberto Gil and Hugh Masekela – who visited the Afrika Shrine where Fela and his band thrilled music lovers.